Mayor Alicia Pizarro of Pilar, Bataan enjoined on Wednesday all government offices in the municipality to take part in the Manila Bay clean-up and rehabilitation program. In a memorandum, the politiko cited Memorandum Circular No. 2019-09 issued by the Department of Interior and Local Government for the observance of weekly clean-up activities for the Manila Bay’s rehabilitation and preservation. “Pursuant to DILG Memorandum Circular No. 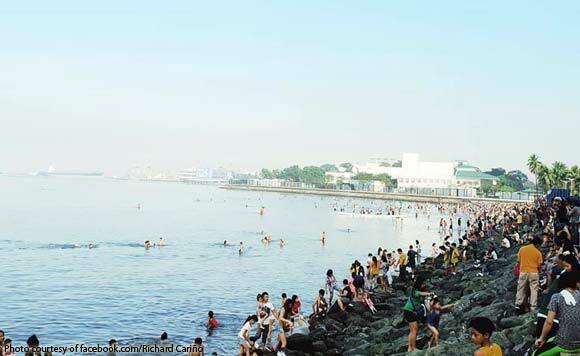 2019-09, a weekly clean-up drive relative to the Manila Bay clean-up, rehabilitation and preservation shall be conducted,” Pizarro wrote. The kick-off activity, she said, will be held on Saturday, Feb. 9, 2019, at 6 a.m. in Landing, Pilar, Bataan. “For the effective accomplishment of the purpose of this activity, all national and local agencies holding office in this municipality are hereby enjoined to support the drive and to participate in the above-indicated kick-off activity and in the regular scheduled clean-up thereafter,” the mayor’s memorandum said. The DILG issued the memorandum on Jan. 24, 2019, citing a Supreme Court order for such activity.